Stimulate, Extract and Freeze with our 3 simple ranges… Just three simple steps within each range. The egg freezing process may not be as easy as you think. 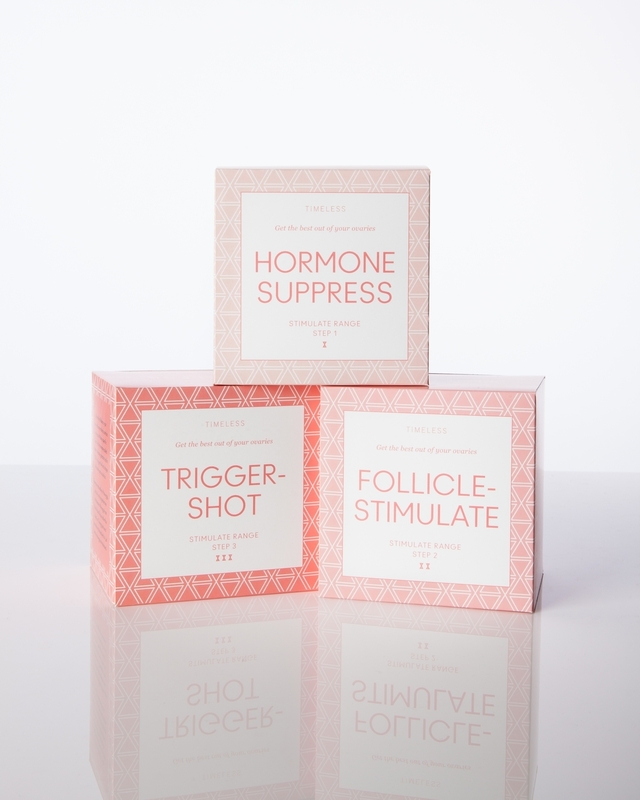 HORMONE SUPRESS — usually the first step in the stimulation process where drugs are taken to suppress your natural cycle. FOLLICLE-STIMULATE — daily hormone injections, self-administered into your stomach for 10-14 days, plus multiple visits to the fertility clinic for vaginal ultrasound scans. TRIGGER-SHOT — a specific injection of human chorionic gonadotrophin (hCG) hormone to trigger the final stages of egg maturity and ovulation. SEDATE — heavy sedation or general anaesthetic administered in the clinic 34-38 hours after the final injection. RETRIEVE — extraction of follicular fluid from each ovary with a suction device connected to a hollow needle. AFTER-CARE — rest and recovery time - at least 1-2 days off work for the procedure and recovery. PREPARE — analysis and assessment of all of the fluid that has been extracted. Any eggs judged to be mature are washed and prepared for freezing. VITRIFY — Insertion of the prepared eggs into liquid nitrogen where they will go from room temperature (about 25°C) to -196°C in 2-3 seconds.